The Best Bag has been designed with many features to provide the consumer with a long list of benefits. Made from 100% Rip Stop Polyester Material which means your bag will not tear completely open. Cotton Batting around handles for comfort on your hands and arms even with the heaviest of loads. No bottom seams that could tear. Reinforced side seams for added strength. Large interior volume for a wide variety of shopping needs. Interior pocket that doubles as a storage pouch for The Best Bag when not in use. 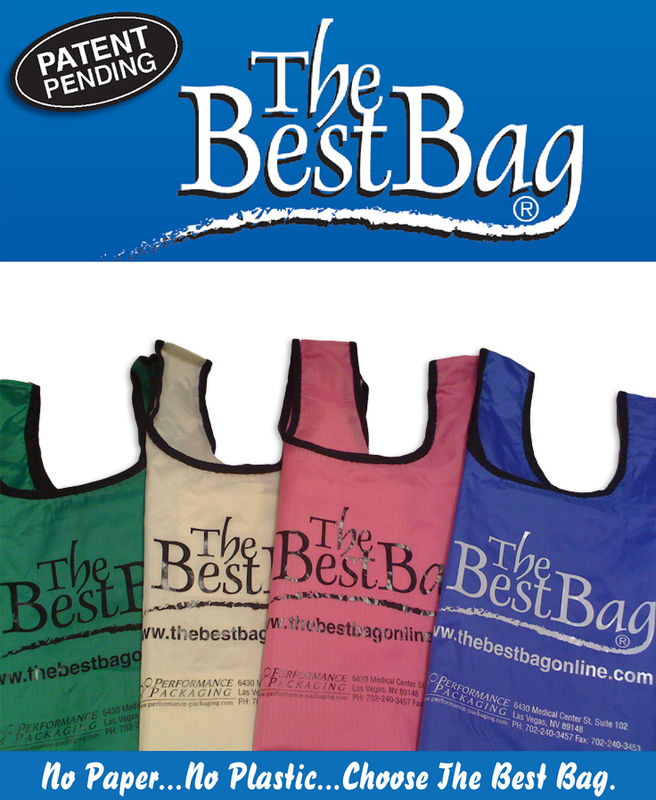 The Best Bag has a wide variety of uses besides your grocery shopping, such as trips to the gym, traveling, spending a day at the beach, trade shows, promotional giveaways, and MANY MORE!! Fold one up TODAY and put it in your travel bag!! Fully machine washable and engineered to last for many years of use. Available in five colors: Black, Blue, Green, Pink, and Cream. Additional colors available on large custom orders. Now approved by Los Angeles County, CA for their mandatory "LA County Carryout Bag Ordinance"
There are many reasons why it is time for The Best Bag!!. The use of re-usable bags, such as The Best Bag, instead of disposable shopping bags provides substantial environmental benefits. 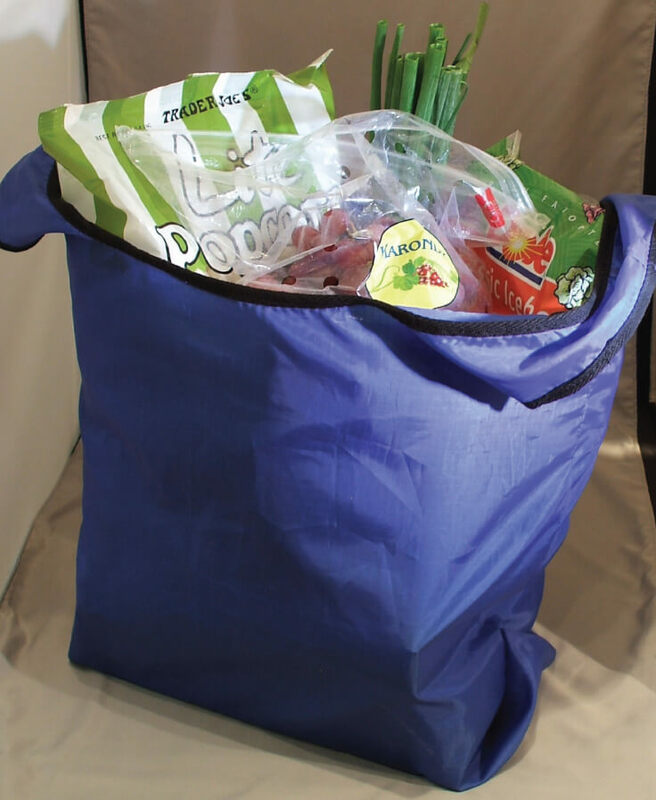 Re-Usable Shopping BagsRe-usable bags provide a significant reduction in carbon emissions, in both manufacturing and transportation, compared to their plastic disposable counterparts. Re-usable bags provide a reduction in the amount of plastic waste going into landfills which have a very negative impact on both marine and wild life. Did you know the “safe alternative” of paper bags uses almost four times as much energy and twenty times as much fresh water to manufacture than plastic bags? There truly is only one sustainable bag …. The Best Bag! !